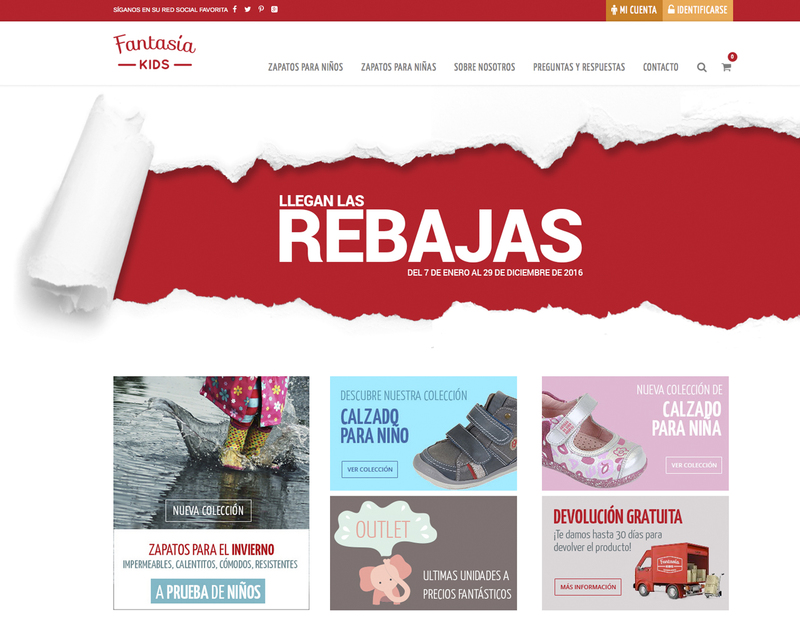 Fantasía Kids is a shoe store specialized in top brands of shoes for kids. 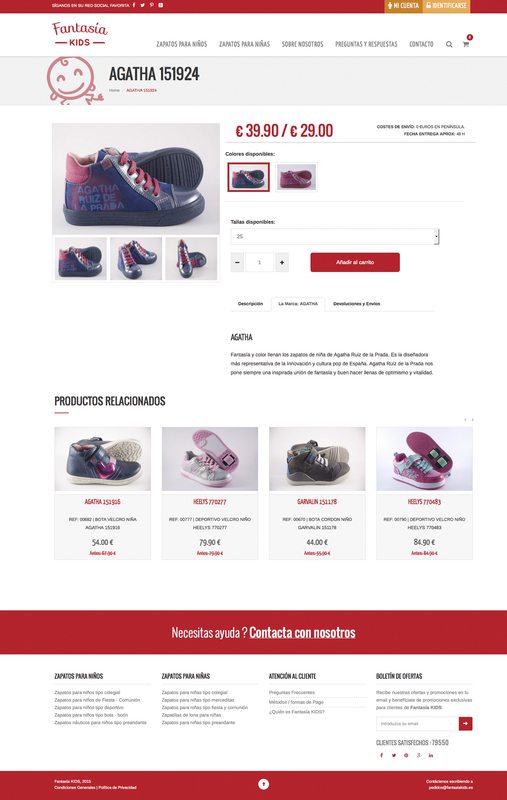 They contacted us to carry out the design and custom programming of their online shop connected through an API with internal management system. The shop shows a very functional system through which our client can manage products, sales and clients.